Step out of the city life by going to Canyoning & Rappelling Tours and Wentworth Falls. 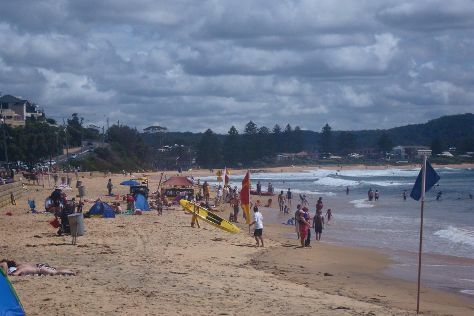 You'll discover tucked-away gems like Terrigal Beach and Caves Beach. Explore Sydney's surroundings by going to Shelly Beach (in Manly), Terrigal (Spas & Wellness & Avoca Beach) and Bowral (The Milk Factory Gallery and Exhibition Space & Dirty Janes Bowral). The adventure continues: pick up some local products at The Rocks Markets, look for all kinds of wild species at North Head Sanctuary, look for gifts at The Bay Tree Gallery, and stroll through Balmoral Beach, Mosman. To see traveler tips, ratings, more things to do, and more tourist information, read Sydney holiday maker tool . If you are flying in from United States, the closest major airport is Sydney Kingsford Smith International Airport. October in Sydney sees daily highs of 76°F and lows of 59°F at night. Finish your sightseeing early on the 12th (Sat) to allow enough time to travel back home.